The last two weeks of Fire Keepers for 2018 brought us close to the winter as temperatures dropped into cold frosty sun-filled days with a healthy dose of wind. As you might imagine, we made the best of it out there and had a blast! We made fire, and continued coal-burning spoons. 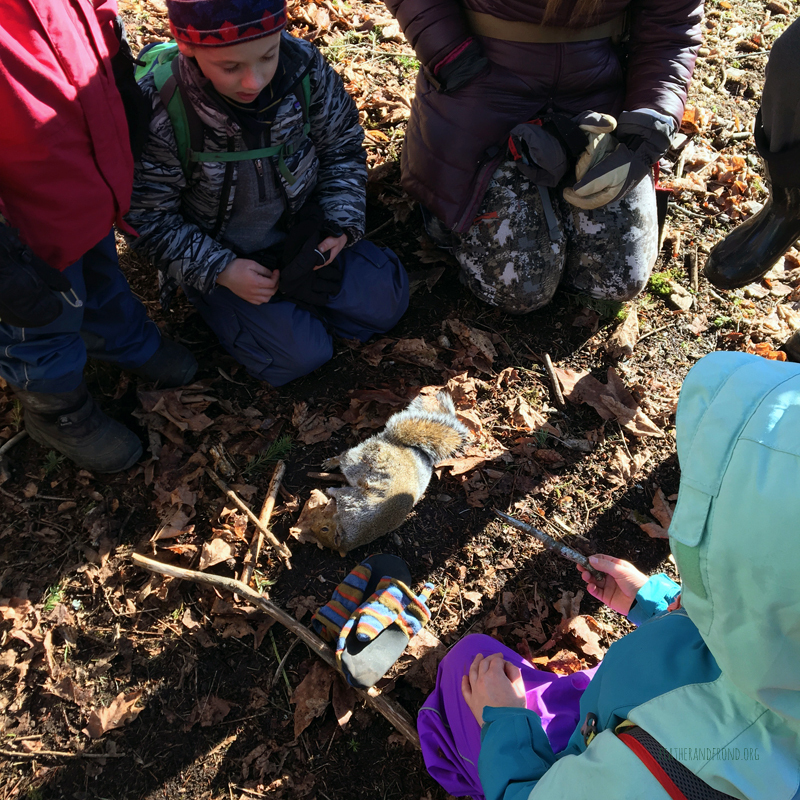 The kids worked on carving walking sticks and other items for gifts and making designs on them using a wood rasp and brace and bit. We spent a fair amount of time working on our projects and our oldest student even was motivated enough to start working on a pine needle basket! That is pretty exciting… I really want to work on many more projects this year with our Fire Keepers. 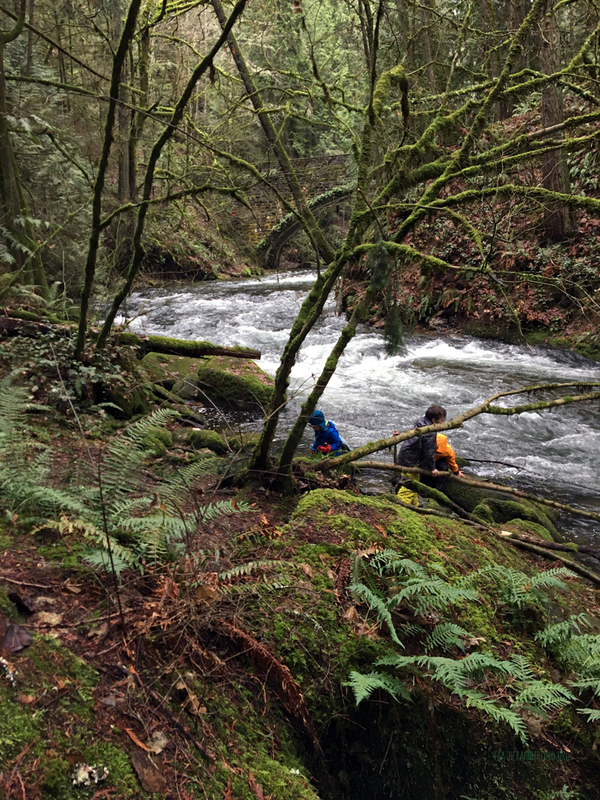 The river was extra swelled and we spent some quiet sit spot time looking for salmon and watching the lovable antics of the American Dipper as is hunted below the rushing torrents and easily comes back to the same place. The Dipper is our only aquatic songbird and one of the most mind-blowing creatures in our ecosystem. It seems to me that these tiny creature weighing 1/10 of a pound shouldn’t be able to freely “walk” under a waterfall or rushing stream to find their favorite meals but they are perfectly equipped for the task. They enter the water repeatedly to gobble up various small aquatic insects and sometime even salmon eggs and small fish! These little birds make my heart sing every time I see them do their characteristic “dip” on a rock or log by a stream. 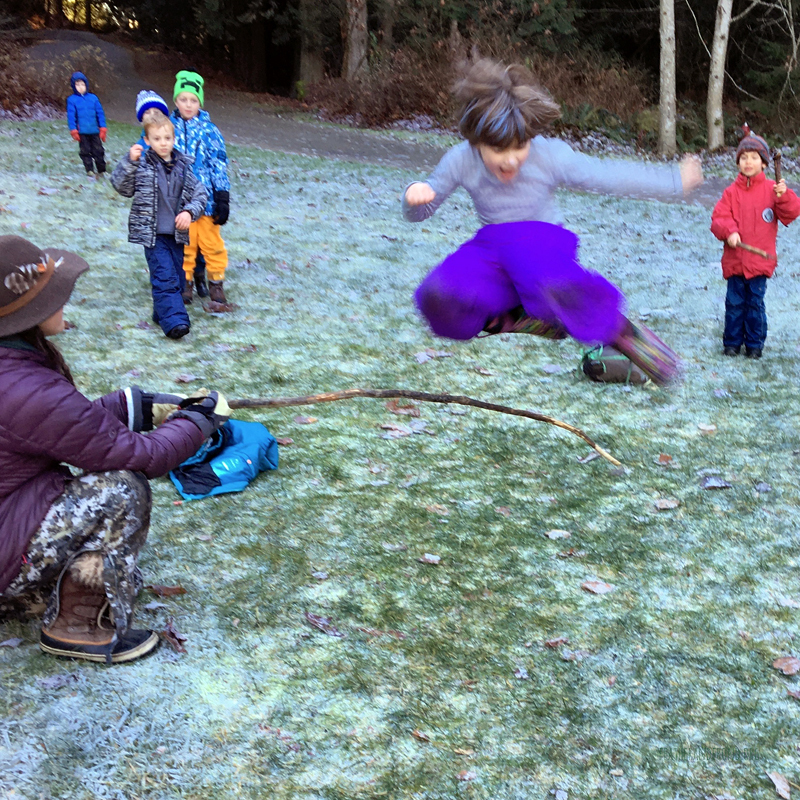 Other highlights include practicing our hunting with throwing sticks, figuring out how to work together to fly kites, looking for animal tracks, having some serious dance parties and playing some huge games of entourage, mushroom tag and ‘Bear, Salmon, Mosquito’. There were also a surprising number of mushrooms out in the forest for how cold it was including pinch-able puffballs and coral mushrooms! Hope everyone is having a great break and we are excited to see you all back in the new year!!! We have a couple of openings in the program, so if you have know of adventurous 7-12 years around B’ham who may be a good fit please have them contact us.